NEXT LEVEL INFORMATION. The app from R+W as Windows version! The R+W app blurs the borders between the real and virtual worlds. The virtual reality and the new service feature let you experience our product programme as you have never seen it before. This update allows you to submerge yourself in our product range and some special matters like the function of re-engagement. Our new highlight you can use the app with Windows. Please save the ZIP- and unzip it. After that you can start the app with your desktop PC. System requirements: Dedicated graphics cards with 1 GB memory at least / Direct X driver (9.x / 11.x. or more). If you use older graphic cards it is possible that you have rendering problems particularly with the designs of the couplings. Download for Apple iOS or Android for free. JUST A FEW STEPS TO AUGMENTED REALITY. 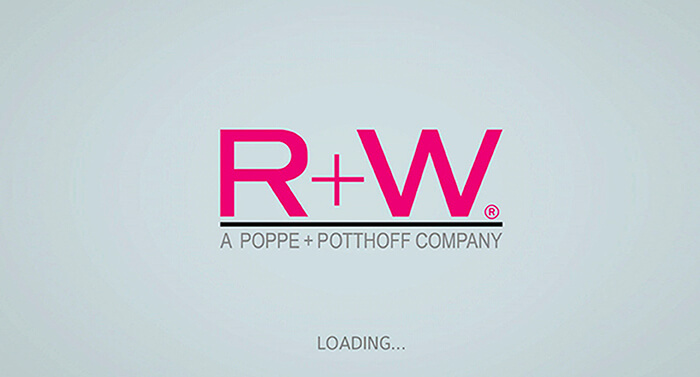 Download the free R+W app from the App Store or in Google Play. It is available for all devices with iOS version 9.3 or higher (iPhone/iPad) and devices with Android version 4.2 or higher. Wherever you see a product depicted in the brochure, you can use the AR app to learn more about it. The app recognises the original scan and displays the AR content. To load this content, hold your mobile device about 20–30 cm above the brochure and move it slightly. 3D models, animations and other information are waiting to be discovered. In the showroom, you can view the highlights from our product range without scans. Even more product information is available inside the showroom. Take a look at the new features in this video. If you do not have a printed version of the brochure, you can download it here. You can print the brochure or scan the pages directly from your monitor using your iPhone or iPad.